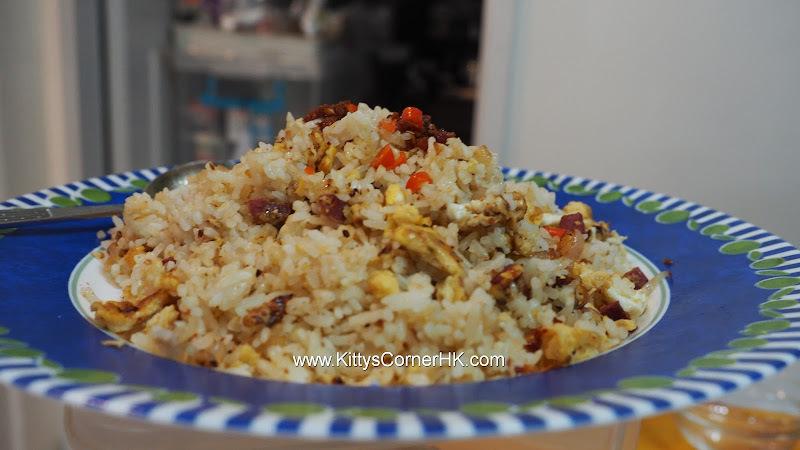 A quick fried rice, add your ingredients and make your own dish! 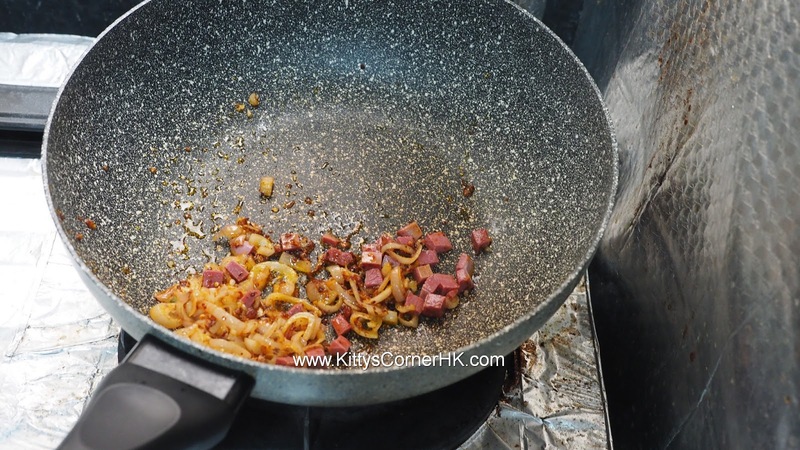 Pour in oil, then stir in sliced shallots, dried shrimp, chilli prawn crunch (or any preferred chilli paste), little salt, cook about 30 seconds till you smell fragrance. 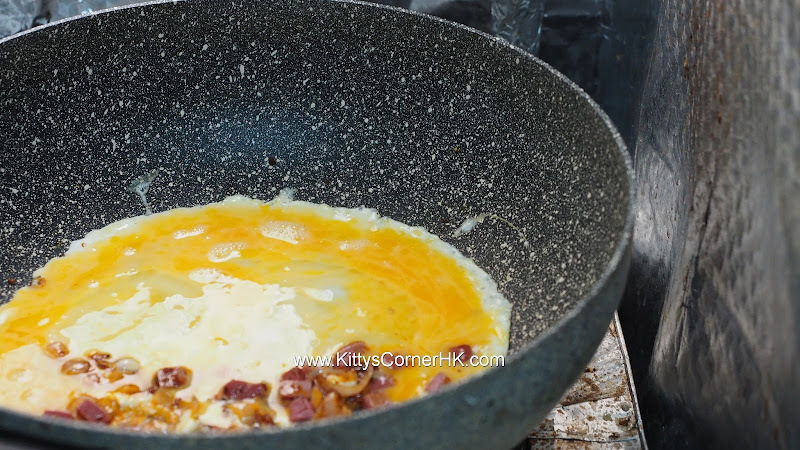 Add ham cubes (optional), beaten eggs, vegetables (optional). 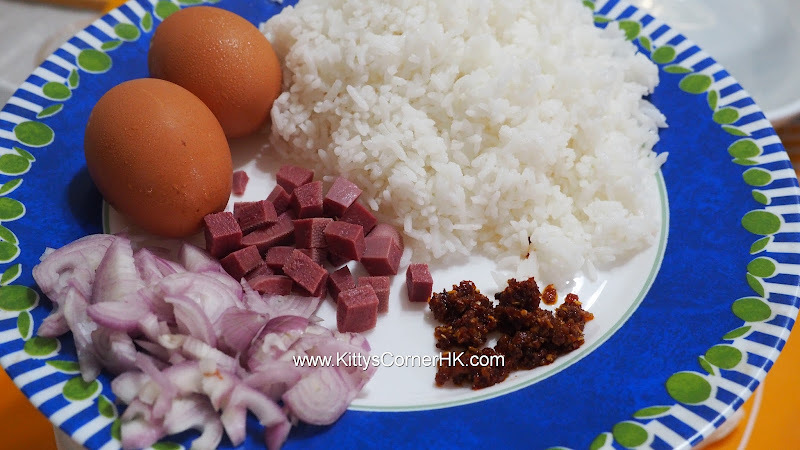 Stir in cooked rice, stir fry until rice is not in lumps. 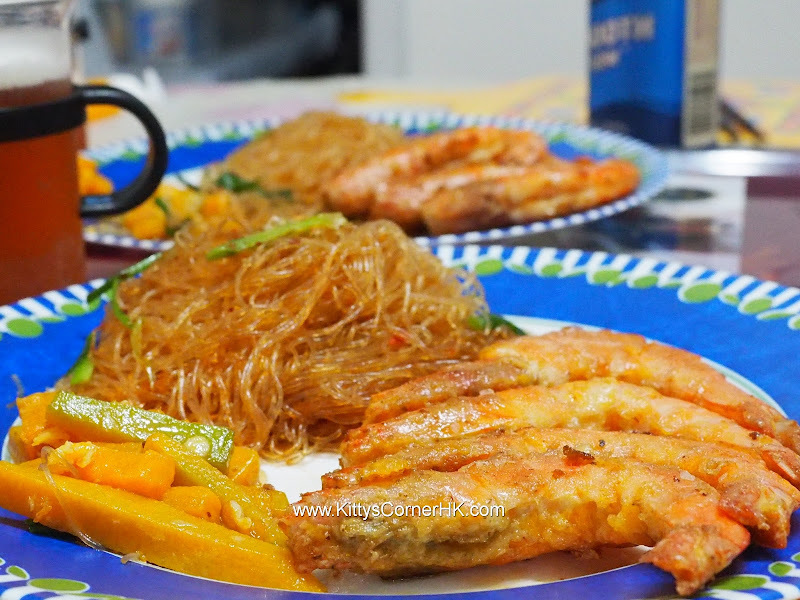 Shake in little soy sauce and few drops sesame oil (optional), toss rice to coat. 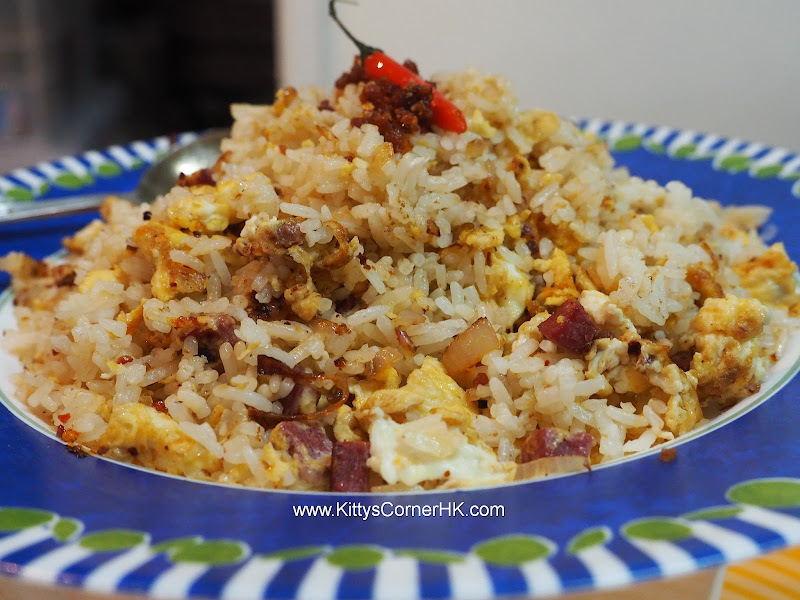 Garnish with chopped red chilli. Serve hot.